Can I use tapioca flour instead of cornstarch? I used tapioca starch. Do you have any tips on how to make it blend to a finer powder? Hmmmm.I don’t have a ninja blender so I can’t compare. When I use the vitamix the coconut sugar turns into a fine powder. 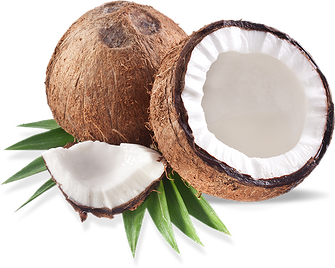 Could you tell me your Vitamax model or food processor for making Fine Powdered coconut sugar? How long should this take in a food processor? Looks like it’s working, but running for a very long time to eliminate the graininess! This excites me! I’ve been changing out the junk foods in mine and my toddler’s diet. His second birthday is in 4 months and this is perfect to use for some yummy BUT healthy snacks! Love your page!! well, this did not work at all and i wasted a whole bag of expensive coconut sugar!! i ended up making icing and the icing was SO GRAINY. sticking to regular powdered sugar! can i make a big batch of this in the food processor or do i have to do a couple of 1 cup batches? i need 3 cups of it. I use a dedicated coffee grinder and only grind coconut sugar. I use it in frostings and it works fine. Honestly, it’s the most well received frosting in general, even among folks who eat regular sugar. Does anyone know about how long it will take to blend if I use a blender of 800 watts. I did this! It works wonderful! I will never buy powdered sugar again. What about potato starch in place of corn starch? Oh I am so excited to try this!!! I love this site!!!! Wow, this is so clever. I can’t wait to give this powdered sugar a try. I used unrefined sugar and I cant get it to be completely powdery… its still a little grainy… and it tastes a little funny. help! Aww bummer! I haven’t had that happen. Not sure why it would taste funny. Did you use arrowroot powder or corn starch? I do this but the last time I used it to make buttercream my frosting was gritty. I have a vitamix so it was nice and powdery (though I didn’t add arrowroot…it was just sugar). Anyone have any luck using their own powdered sugar and getting a nice smooth buttercream? Just a tip…..if using the Vitamix, don’t overblend it. I did it for too long and the sugar heated up too much and then tasted bad. 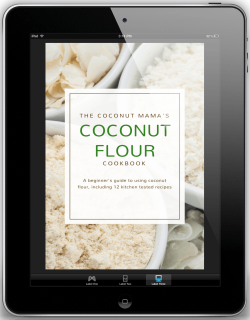 If my recipe calls for 3-5 cups confectioners sugar for frosting base, would I use the same amount of coconut sugar? I just tried this with my KitchenAid blender. I get a much finer, truly powdered product with my coffee grinder, so I’ll stick with that. What is the purpose of the arrowroot? Anti-caking agent? this sounds good, but can it be used in frostings?